It's Sketchy Saturday over on the Paper Issues blog! Here's Amy's great sketch, I love all the circles! 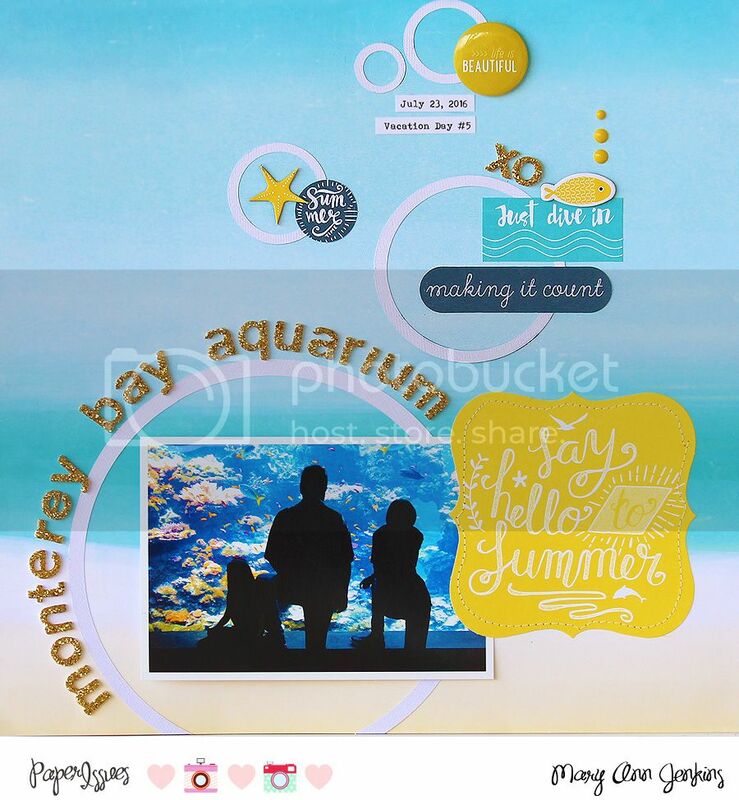 I used my Silhouette Cameo to cut the circles, then added my photo and all the cute embellishments from the Summer Party collection by Echo Park. Oh, and that awesome flair button from Fancy Pants! I've mentioned before how much I love Sketchy Saturday, it's like having your layout already started for you ;) How about playing along too!! As always, thanks for stopping by, and remember to use code: Mary Ann in the Paper Issues store for 20% off your entire purchase!! Loving that vibrant yellow!! Fabulous page!